Hi, my loves! 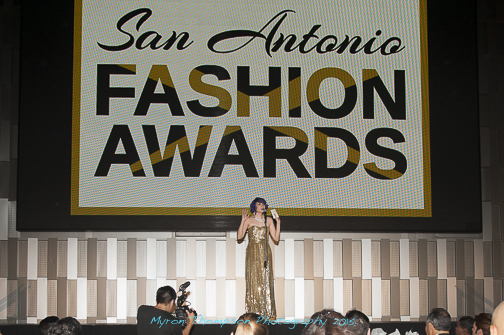 I know it's been a while since my last post, I took a little break to help prepare the San Antonio Fashion Awards and a little break after. It has been an intense couple of weeks, but it well worth it. The Award Show was absolutely amazing! 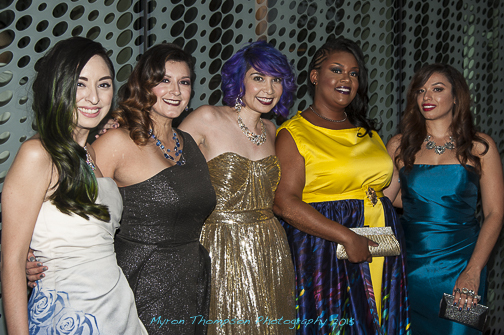 Style Lush TV hosted a huge celebration of the San Antonio Fashion Community with the most glamorous event the city has ever seen. I had the tremendous honor to present the award for the Blogger of Year. During the nomination process I was delightfully surprised to find out that I was the 5th most nominated blogger, but there were only 4 spots elegible for voting. So close, ha ha! Honestly, it was an honor to even be considered, given the fact that I only moved to San Antonio 3 years ago and started blogging seriously for only about a year. The nominees in this category have been doing it for a very long time, and I can learn so much from them! Maybe I'll be nominated next year, but for now I'm just really focused on the Community as a Style Contributor for SLTV. 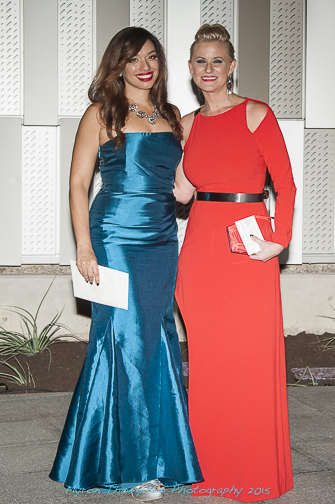 I wore a Badgley Mishka gown from Rent the Runway. Don't miss the review I'll be posting later this week. My jewelry was from Rocksbox and the shoes were Vince Camuto. Head over to Style Lush TV to see all the winners and the beautiful venue that held the ceremony! Hola, mis amores! Ya sé que hace tiempo desde mi última publicación. Me tomé un tiempo para ayudar a preparar los San Antonio Fashion Awards y me tomé un corto descanso luego del evento. Style Lush TV fue anfitrión de una enorme celebración de la comunidad de la moda en San Antonio con el evento más glamoroso nunca antes visto en la ciudad. Tuve el tremendo honor de presentar el premio del Fashion Blogger of the Year. Durante el proceso de nominación, me sorprendí al enterarme de que fui la bloguera nominada en el 5to lugar. Sólo había 4 lugares, asi que ya será para la próxima. Honestamente, fue un honor ser considerada en la categoría, especialmente como sólo llevo 3 años viviendo en San Antonio y llevo poco tiempo con el blog. L@s 4 nominad@s llevan en esto bastante tiempo, y verdaderamente puedo aprender muchísimo de ellos. Tal vez caiga para la votación el año próximo, pero por ahora, mi enfoque está en trabajar para la Comunidad junto a SLTV como Contribuidora de Estilo. Yo llevaba un traje de Badgley Mischka de Rent the Runway. No se pierdan mi video sobre esa experiencia que subiré esta semana. Mis prendas eran de Rocksbox y los zapatos de Vince Camuto. Entren a Style Lush TV para ver los ganadores y el local hermoso en donde tuvimos la ceremonia! Great event!! you are so gorgeous with this silky deep blue dress! You look lovely and stunning in that electric blue gown! Same with the other gorgeous ladies! LOL! Thanks so much, Carrie! You look so beautiful and elegant in this gorgeous dress. Thank you so much, dear Lenya! U look like a star in that gown! Great color on u! Thank you! Have a beautiful week! Thanks for stopping by, Larisa! Beautiful dress hon I love the color on you, you all look amazing. I'm sure you'll have your turn to get nominated good luck.